Crazy Rich Asians arrives in theaters on August 15th, and the highly anticipated film is continuing to make cultural waves in the discussion surrounding Asian representation in Hollywood. Based on Kevin Kwan’s best-selling novel of the same name, Crazy Rich Asians is the first major motion picture in 25 years with an all-Asian diasporic cast in leading roles. And while it may boast the glossy appearance of a modern rom-com, director Jon Chu wants you to know that the film isn’t about the girl getting the guy. Not in the least. This is a film about knowing your worth. 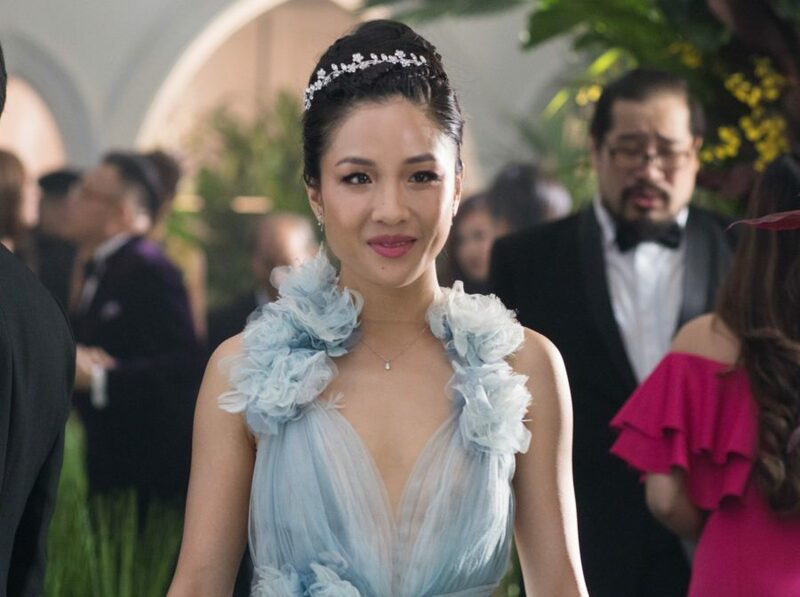 Crazy Rich Asians follows New Yorker Rachel Chu (Constance Wu) as she accompanies her boyfriend Nick Young (Henry Golding) to his best friend’s wedding in Singapore. There, she meets Nick’s family and is surprised to learn that they’re the wealthiest family in the country—and Nick is Singapore’s most sought-after bachelor. As if contending with jealous socialites weren’t enough, Rachel must also deal with Nick’s disapproving mother, Eleanor (Michelle Yeoh). The film features a strong supporting cast, including Awkwafina (as Rachel’s best friend Peik Lin), Ken Jeong (as Peik Lin’s hysterical father Mr. Goh), and Gemma Chan (as Nick’s cousin and closest family confidant, Astrid). At the film’s press junket in Beverly Hills, Chu discussed the significance of creating strong female characters that are ultimately autonomous from their male counterparts. Warning: crazy rich spoilers ahead. In the novel, Astrid deals with the disintegration of her marriage and falls into the comfort of her ex-boyfriend, Charlie Wu. However, in the film, Astrid deals with the disillusionment in a way that significantly diverges from the source material. In the final cut, Charlie (Harry Shum Jr.) only appears in a brief yet vital scene at the end. Chu and producer Nina Jacobson addressed this decision at the junket. "[Astrid had] pointed scenes in there that she had to deliver by the end. We didn’t want any of these women to depend on some man. The decision had to be their own, and this is something [screenwriter] Adele [Lim] and [producer] Nina [Jacobson] talked about a lot,” said Chu. At the core of it, the film is very much about strong women. This is exemplified at a pivotal Mahjong scene between Rachel and Eleanor. “That Mahjong scene with them going head to head. We had like four different versions of that Mahjong scene and it was just fireworks,” said Chu. “These two super strong adversaries up against each other.” Here’s to more strong women and representation.